For more than 400 years of opera history, this is the first Vietnamese grand opera, by a Vietnamese American composer, produced in the US. Yes, it is that familiar topic again. And yes, it is about some Vietnamese who, as a group, entered the American psyche in association with the Vietnam War that we have tried to forget. Maybe the time is now. The first wave of Vietnamese immigrants to the US thrust into the American eyes and minds, against their will, followed the end of the Vietnam War in 1975. Hanging loose underneath the helicopters or sardined in the aircraft carriers, they arrived in America tattered. Fortunately, they had their skills, knowledge, and some dignity left as foundation to start rooting their lives in the new land. Survival was their priority as they took on various types of job to bring home the bread. In hindsight, ideal, lofty and optimal jobs such as medicine, engineering, and civil service are those that brought them closest to the American Dream by giving them an opportunity to recreate the dreamland they lost at home, here in America. These career paths hold the footprints of the first wave Vietnamese immigrants. In the late 1970s to the mid 1980s, tens of thousands of Vietnamese continued to leave the country in a second big wave of migration. This time, crammed into tiny fishing boats, they attracted the attention of world media as boat people in South East Asian refugee camps. Many of them genuinely sought political asylums in America while others were looking for ways to better their lives. Empty-handed on entry, they chose the quickest fix for survival and for the sake of their children’s future in odd jobs or small businesses, or fell back to the familiar trade of fishing. 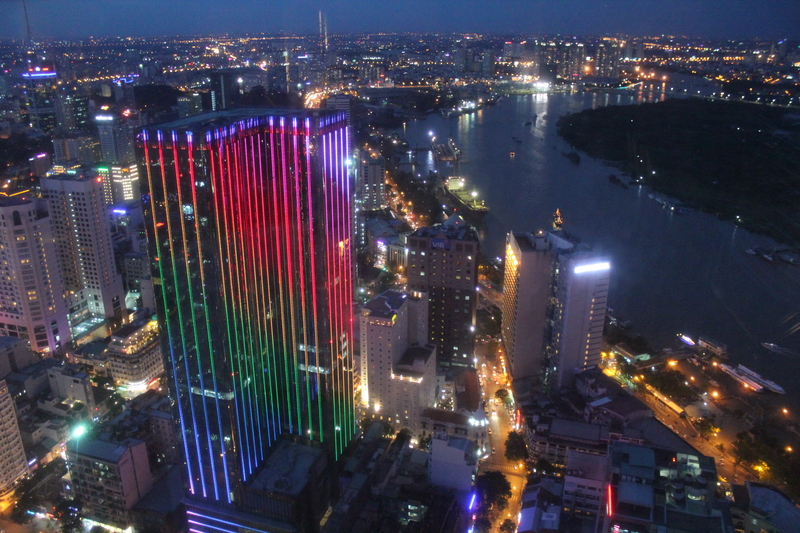 The Vietnamese continued to surprise America with a new wave of migration in the early 1990s. For family reunions or humanitarian reasons, thousands of Vietnamese were pulled into America with no less of a bang. The new immigrants were doing better financially in a shorter time soon after arrival. Their conspicuous choice of work is nothing else but the nail job. 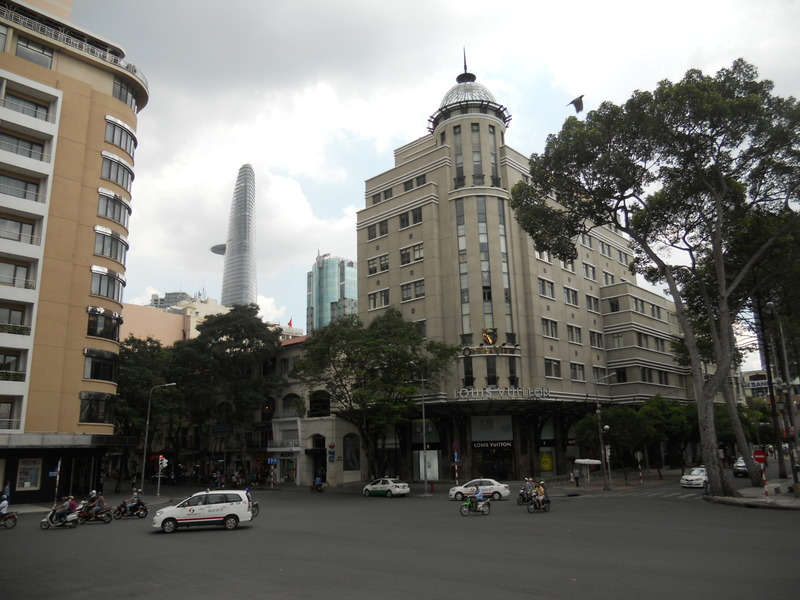 By this time, the Vietnamese had begun to dominate the profession. They worked long hours in return for financial stability. Nail, together with computer engineering as one popular career choice of the time, became the trademarks of Vietnamese immigrants this third migration wave. As time passes, the children of Vietnamese immigrants who came to America in the 70s, and teenagers of the 80s or even 90s have grown up. Those given freer rides in their career paths now embrace humanities, arts, and social sciences. In the meantime, their counterparts in Vietnam arrive in the US, this time self-sponsored or as scholarship foreign students. They major in a wide range of fields barely touched by their predecessors: history, American studies, literature, policies, business administration, or urban management. Many of them find love and establish family in America. Together with the Vietnamese Americans who grew up in the US, they represent the fourth wave of Vietnamese Americans in the 21st century. The degree of assimilation by Vietnamese immigrants shows in their visibility in American life. Gradually, they have been seen and heard around, being medical doctors, politicians, scientists, scholars, novelists, fashion designers, chefs, etc. They are professional members in their own right. Many are on top of their game. But when it comes to classical music, boy, this must be the most scabrous patch of skin to polish for the Vietnamese Americans. As the most abstract art form, orchestra music is the land of passion and luxury where high culture and financial prowess combine in unison. At the summit is the commanding presence of opera as a unique genre in western music history. Vietnamese culture runs deep, but maybe not deep and wide enough in a long history of wars and instability for its people to learn to penetrate the thick notes of orchestra music. Opera is even more far-reaching. Maybe that is why it takes almost forty years and many generations of adaptation before the first Vietnamese opera in the US could emerge. The Tale of Lady Thị Kính by P.Q. Phan is it. Produced and premiered by Indiana University Jacobs School of Music in February 2014, it is based on an ancient Vietnamese folktale and portrays one transcendental journey of a young girl through stages of hardship to her Buddhahood. It is no coincidence that the first Vietnamese opera in America is performed in Indiana. In fact, woods and lakes away from the commotion of the East and West coasts, IU Bloomington was once a safe haven for scholars from foreign countries overrun by the Nazi German. More than peace, they found their dreams and a refuge from time there. 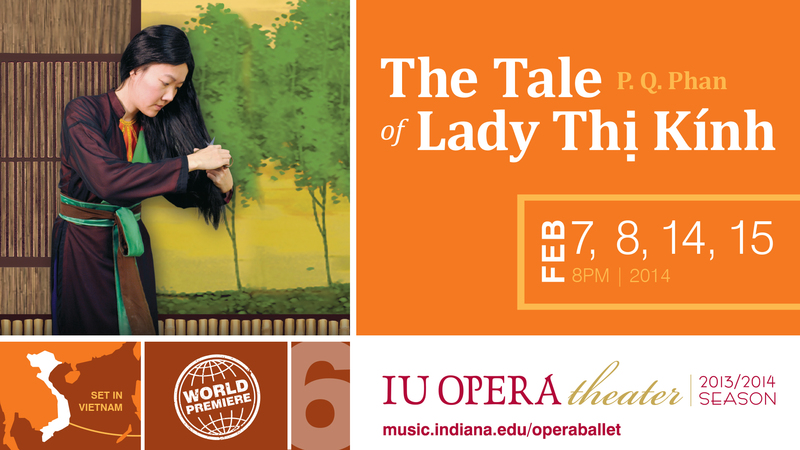 Now, as the only educational institution in America producing operas comparable to the MET in many ways, IU production of The Tale of Lady Thị Kính once again confirms the working power of the American Dream in the current time. Bringing Lady Thị Kính to the American audience, Phan has fulfilled the ultimate dream of his life – a transcending one shared with his Vietnamese American community. The Tale of Lady Thị Kính is a story about the beauty of love, compassion, and selflessness. As anything is possible in this land, let Lady Thị Kính be a new messenger through whom Vietnam is viewed. Let her selflessness be light in the woods shining through the darkness of war to bring home safely the American spirit. And let her compassion and love be a closure of wounds suffered by the veterans still haunted by the Vietnam War.